BROKERAGE BOAT! 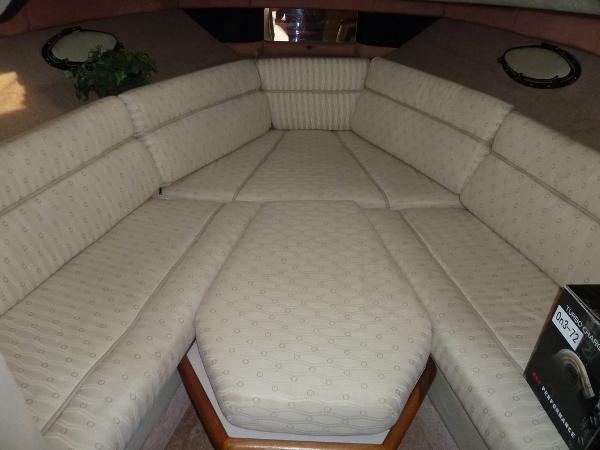 1990 Maxum 2700 SCR With 9'8" Beam, Roomy Boat with Air Conditioning! BROKERAGE BOAT! The Maxum 2700 SCR will offer your family an affordable way to get out on the water this summer WITH AIR CONDITIONING! Powered by an economical MerCruiser 5.7 Alpha 1 with a nice beam of 9'8. This express cruiser has built in fender racks for easy stow away. Canvas is complete with bimini top, side enclosures and cockpit cover. 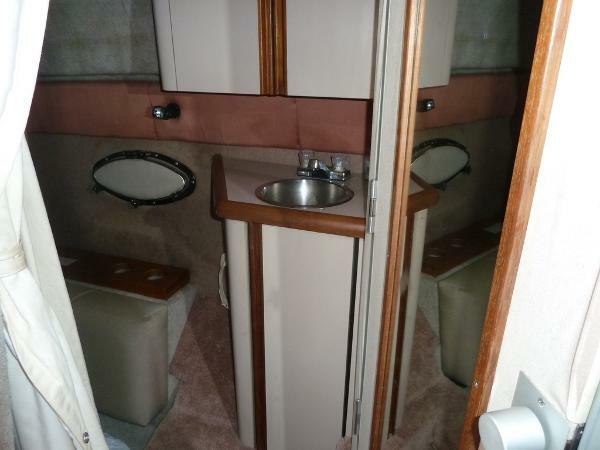 With a man pump head across from the galley that has the electric stove, refrigerator, and coffee maker. Fresh bottom paint in 2016. 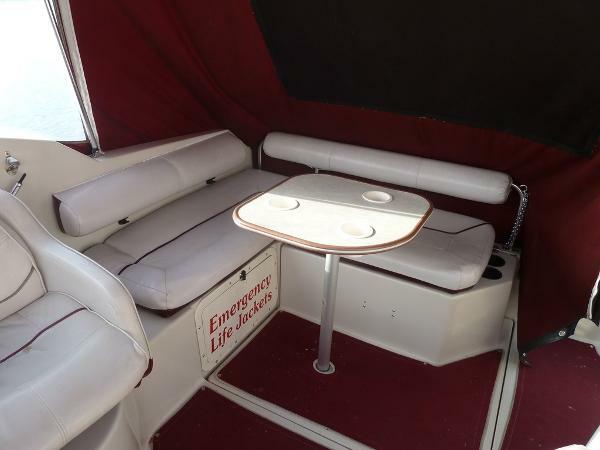 Lot of boat for little money at $9,900.00. NEW in spring of 2017, Toilet, Bellows, Gimbal Ring, Gimbal Bearing, Shift Cable, Trim Rams, Sender Kit..... This Boat is off location. Boat Specs ELECTRONICS: Compass Depth finder VHF Radio/Ant Stereo AM/FM/CD GALLEY: Refrigerator Stove Electric Pressure Water Water Capacity 30 Gallons Water Heater COMFORT: Cockpit Carpeting Transom Shower Air Conditioning POWER: Merc Alpha 1Fuel capacity 102 Gallons Last Tune Up 2016 ELECTRICAL: Battery Charger Battery Switch Bilge Blower Bilge Pump Dockside Power Shore Cord HEAD: Man pump Holding Tank 20 Gallons CANVAS: Maroon Bimini Top Cockpit Cover Canvas Enclosures The Company offers the details of this vessel in good faith but cannot guarantee or warrant the accuracy of this information nor warrant the condition of the vessel. A buyer should instruct his agents, or his surveyors, to investigate such details as the buyer desires validated. This vessel is offered subject to prior sale, price change, or withdrawal without notice.